The rewards of plastic surgery cross the lines of gender. Both men and women can gain significant, life-changing improvements in their appearance with facial reconstructive and cosmetic procedures. In fact, male plastic surgery is becoming increasingly popular as men realize how these tailored procedures can enhance their masculinity, restore their youth and even boost their professional career. 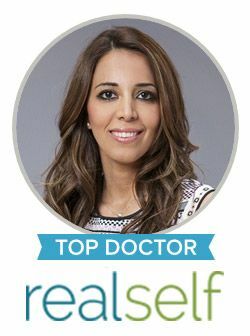 Dr. Sanaz Harirchian is an experienced and highly trained facial plastic surgeon who understands the unique concerns and desires that men have regarding their facial appearance. She offers a full range of male plastic surgery procedures that are tailored to produce attractive and balanced results that do not compromise masculinity. Whether a male patient is seeking an eyelid lift, chin augmentation or facelift, she uses tailored techniques to create the most distinguished, natural-looking and desirable outcome possible. Men are faced with a number of specific aging concerns, including sagging neck skin (“turkey neck”), jowls, sagging upper eyelids and more. You can trust that Dr. Harirchian offers a variety of methods to address these areas, including both surgical and non-surgical options. When it comes to rejuvenating the male face, our top priority is creating and implementing a treatment plan that is customized to your specific goals and desires. This individualized approach to facial plastic surgery is highly valued among our patients. Dr. Harirchian is one of the most talented and skilled plastic surgeons in the Houston area, and she is dedicated to helping men experience plastic surgery in the most comfortable and rewarding way possible. To schedule your consultation for male plastic surgery in Houston, please contact our office today.